Congratulations! Your club finished 27 in the CC EVENT #36 that ended on 02 Dec.
Winter is here and so is CC Event #36 on WGT! 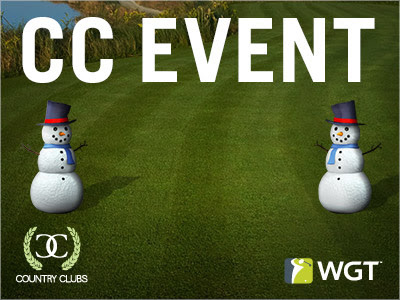 Play this week's CC Event, featuring Snowman tee markers and flags, to hopefully help you embrace the holiday music and mall santas... At the very least, you'll be contributing to your club's XP by competing against other country clubs for in-game prizes. CC Event #36 runs 12/1-12/2, with multiple 4-hour Clashes, so be sure to play as many games as you can for your club and keep your eyes on the leaderboard. We here at VOTSCC enjoyed our CLASH with your CC in CLASH # 35. We thank CC name and wish you the best of luck .